A watch that was perhaps ahead of its time, the Parmigiani Bugatti Type 370 is now history - here's a look at the very last one. The Parmigiani Bugatti Type 370 made its debut in 2005, the same year the first Bugatti Veyron rolled off the production line. While the Veyron went on to become of the most famous automobiles in the world, even claiming the title of fastest production car ever, its horological equivalent has always retained a discreet profile. 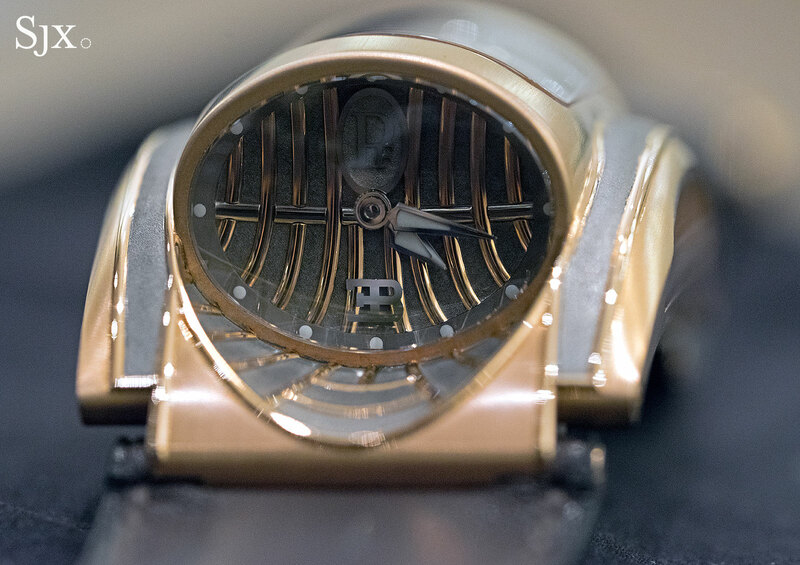 Although not as famous as it should be, the Parmigiani Bugatti is a very interesting watch. 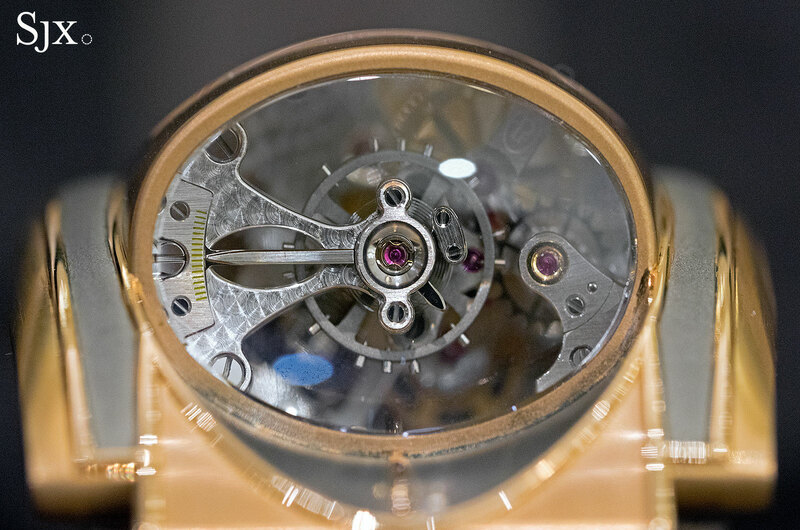 Unveiled at a time when there was nothing else like it, years before watches like the Hublot MP-05 LaFerrari appeared, the Parmigiani Bugatti was the first watch ever with a transverse movement and probably ahead of its time. The year the Parmigiani Bugatti hit the market was the same year avant-garde watchmaker MB&F was founded – it was that long ago. 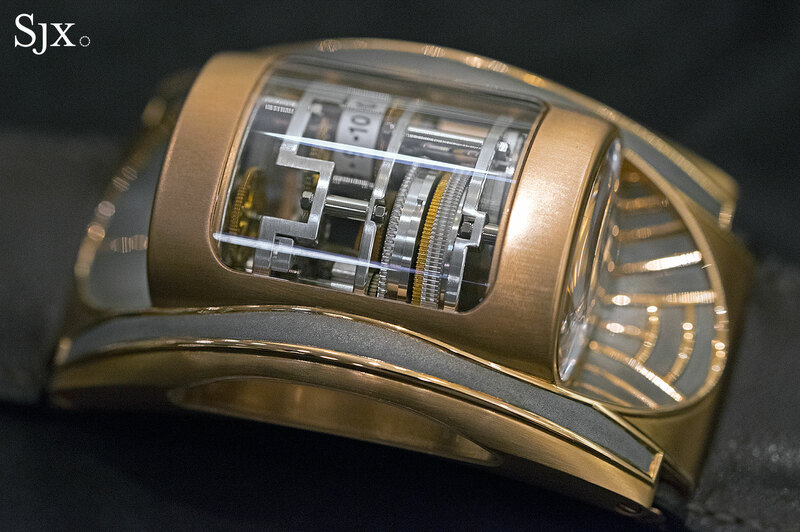 All the parts of the movement are stacked up in a cylindrical case that sits across the wrist, a form that’s inspired by a gearbox. 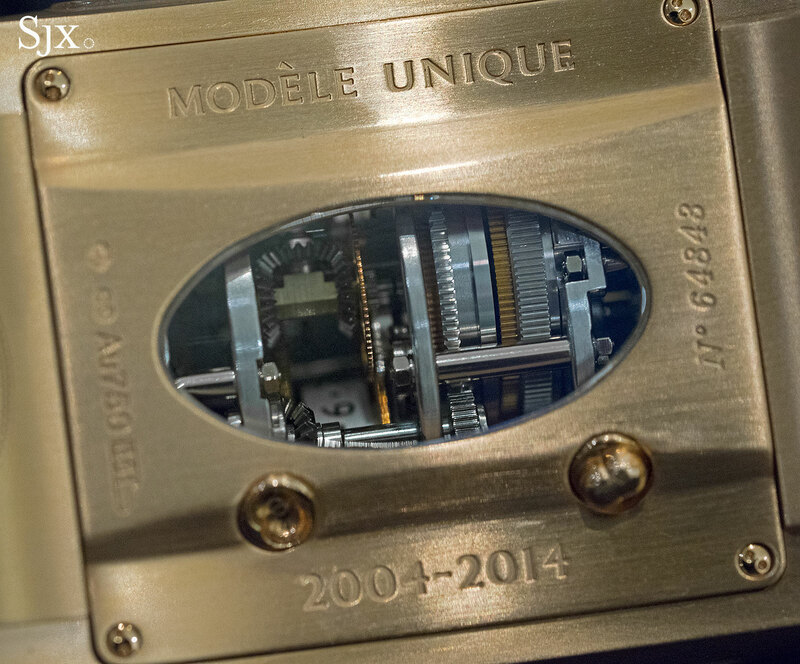 The time is displayed on one end of the cylinder, while the other end reveals the balance wheel and escapement. 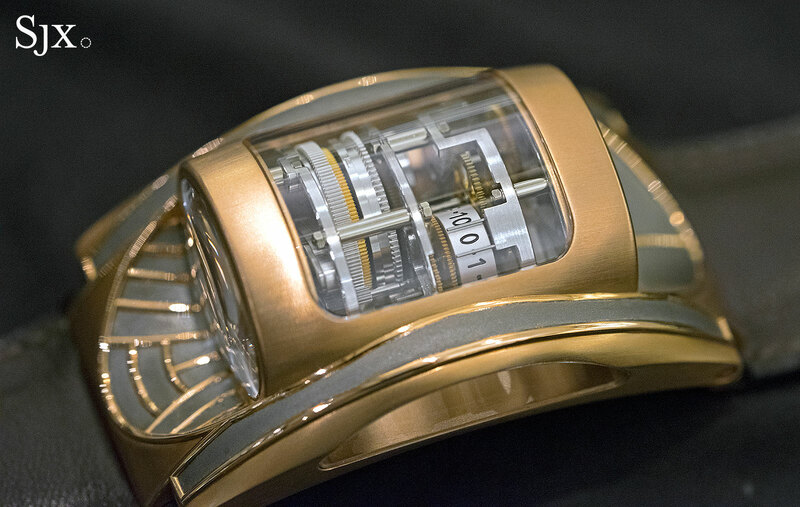 Fully wound, the watch runs for 10 days, thanks to twin barrels, wound via a dynamometric pen that connects to a socket on the underside of the case. 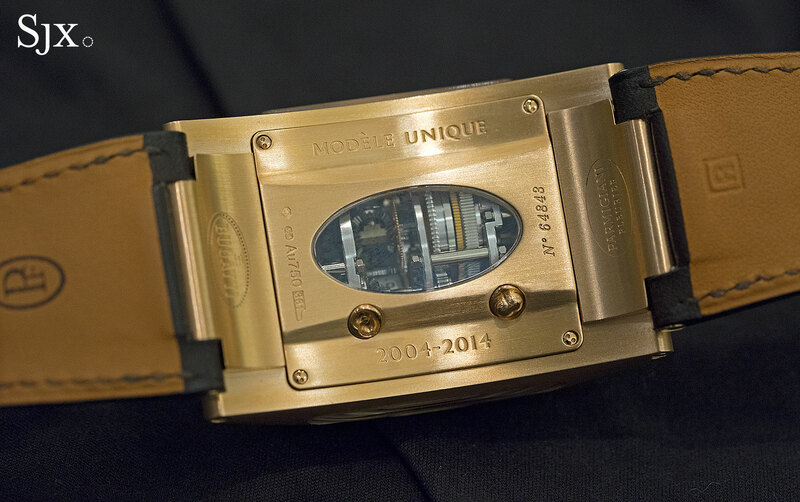 This particular Bugatti Type 370 wristwatch, the Mythe, is a one of a kind creation. It’s part of a trio of Bugatti watches (another being the Révélation) that’s the curtain call of the Bugatti Type 370. Unveiled in 2015 – one year after the last Bugatti Veyron was delivered – each of the watches is a one of a kind creation. 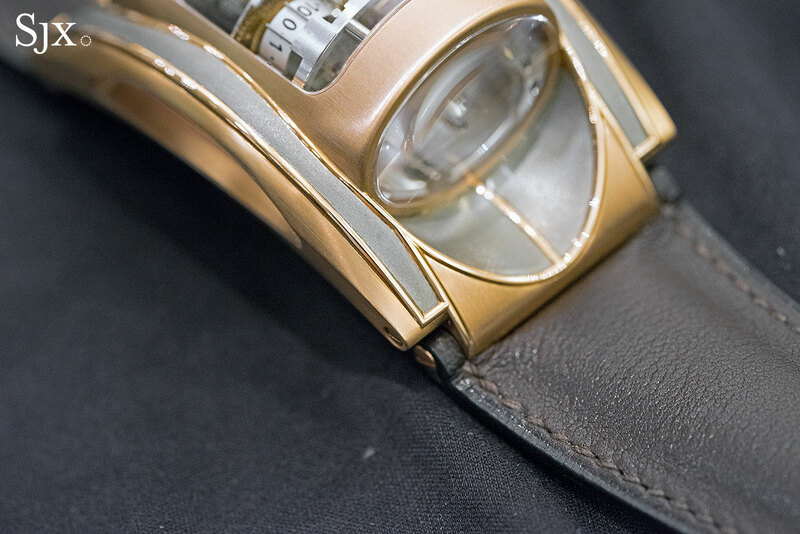 The case of the Mythe is 18k gold, with raised stripes inspired by the grille of the Veyron. Grey ruthenium-plating with a frosted finish provides contrast with the warm hued rose gold. The Bugatti Type 370 Mythe is priced at just over S$550,000, equivalent to US$410,000, and it is available at L’Atelier by The Hour Glass in Singapore. 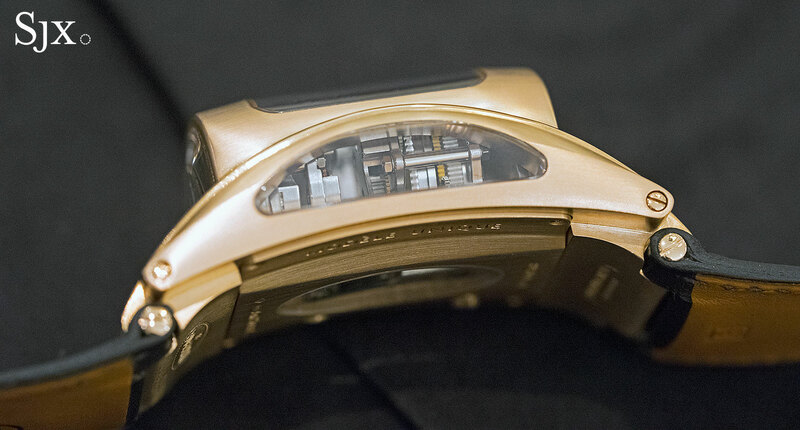 Introduced in 2005, the Parmigiani Bugatti Type 370 featured a surprising and original cylindrical movement. Having reached the end of its production, Parmigiani is ending the run with three unique pieces, including the Bugatti Type 370 Révélation.